It’s time for beer… and science! Sounds unlikely? 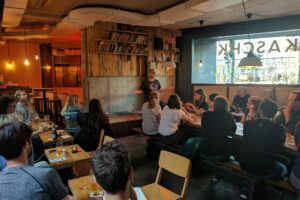 Not for Pint of Science, a non-profit organization that brings esteemed scientists to your local pub for a few days in May every year to discuss their research with you over a beer. No prior knowledge is required, and everyone is invited to participate. This your chance to meet the scientists who shape our world and future! 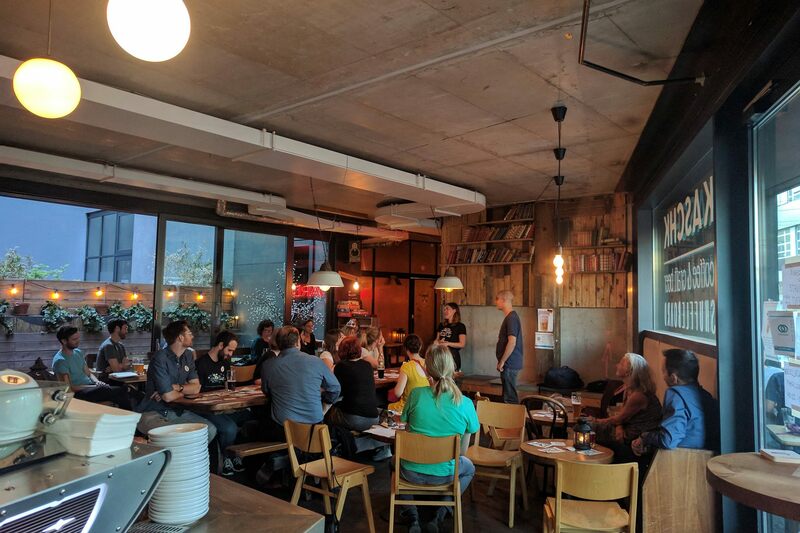 ScienceOpen is especially proud to be a sponsor for this year’s Pint of Science in Berlin taking place May 20-22, 2019. Pint of Science was born out of an event called “Meet the Researchers”, organized in 2012 by two research scientists at Imperial College London in the UK, Dr Michael Motskin and Dr Praveen Paul. Their pilot event brought people affected by diseases such as Alzheimer’s, Parkinson’s, and multiple sclerosis into the college’s labs, where the two scientists showed them the kind of research they conduct. Dr Paul and Dr Motskin then asked themselves, “If people want to come into labs to meet scientists, why not bring the scientists out to the people?”. This is how the idea of Pint of Science was born. And, as Dr Motskin and Dr Paul said, “What could be a more suitable place for an event like this than the most traditional institution in the UK – the pub?”. Since the first Pint of Science festival in May 2013 in only three UK cities, the event took off around the world and will take place in nearly 300 cities this year. We are especially proud that we could form such a diverse range of speakers this year – both in background and field of study. We cover everything from linguistics to particle science and have contributions from Master and PhD students and professors that run huge labs. I truly think that there will be something for everybody at Pint of Science. Still not convinced? Check out the overview of the programme below – its diversity on each night speaks for itself! Cheers! Can’t attend the event in Berlin? No need to worry, there are Pint of Science festivals in 8 other cities across Germany! 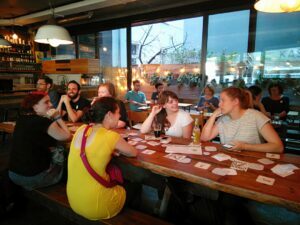 For further information about the programme and to find your closest Pint of Science gathering, please visit pintofscience.de.